While some people might be all about those Black Friday and Cyber Monday deals, it’s really the day after that reflects the true spirit of the holiday season. Giving Tuesday happens every year on the day after Cyber Monday and was started in 2012 by the 92nd Street Y and the United Nations Foundation as a response to growing commercialization during the holiday season. What better way to get into the holiday spirit than by helping others and spreading cheer through acts of kindness? 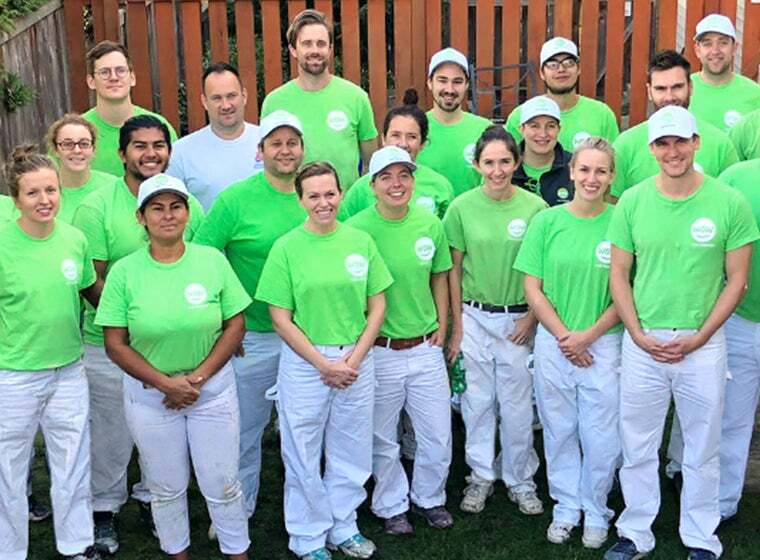 This year, we’re celebrating Giving Tuesday by sharing stories of how our franchise partners across all four of our brands—1-800-GOT-JUNK?, WOW 1 DAY PAINTING, You Move Me, and Shack Shine—have given back to their own communities throughout the year. Through the Day to WOW initiative, WOW 1 DAY PAINTING franchises across North America volunteered their time, painting skills, and paint to several deserving members of their communities. October 17th, 2018 marked the third Day to WOW with a record 15 franchise partners participating! Our partners donated their efforts to women and children’s relief homes, veterans centers, seniors residences, and homes for adults with developmental disabilities. The response to the donations this year was overwhelmingly positive. A fresh coat of paint brings a bright and welcoming look to these organizations, allowing the people they support to feel more at home. Our 1-800-GOT-JUNK? 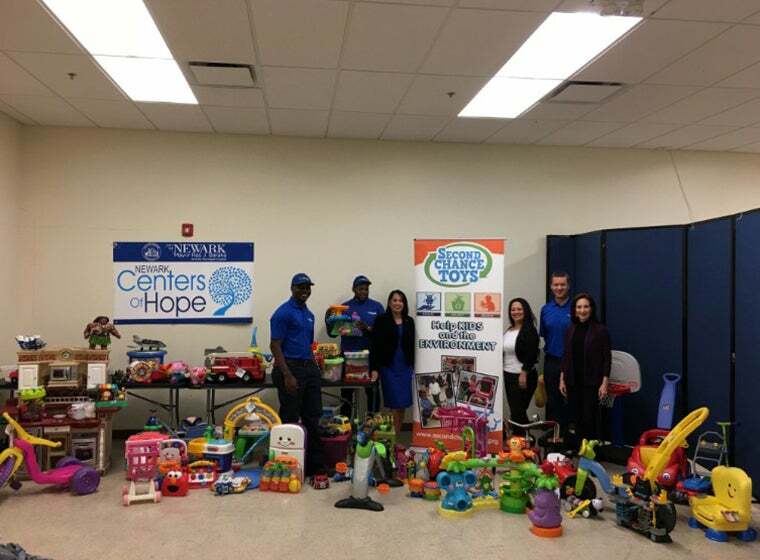 franchise in New Jersey has been working with Second Chance Toys for years, volunteering their trucks, manpower and time to transport large-scale toy donations over the past decade. This year was extra special, as they were able to help Second Chance Toys in delivering their 300,000th toy! The 300,000th toy came from the collection at Evergreen School in Scotch Plains, whose remarkable students collected 250 toys to be picked up by 1-800-GOT-JUNK?. In Toronto, the 1-800-GOT-JUNK? franchise launched a very special partnership with Furniture Bank, an organization that provides quality furniture free of charge to those in need, including the formerly homeless, women fleeing violence, and new Canadians with limited income. The Toronto Franchise offers all its customers the chance to donate their gently used furniture and housewares directly to Furniture Bank upon pick-up. It’s a great way to give customers the chance to donate to an important charity, while making the process incredibly easy for them. Through this partnership, Furniture Bank hopes to double the number of families currently served through the furniture and financial donations they receive. Our You Move Me franchise in Kansas City partnered with local TV station KCTV5 to help out with their Project Warmth coat drive. You Move Me volunteered a moving truck to help collect and deliver the donations. The event was held on a Saturday and viewers showed up in droves, eager to help out by donating their gently used coats, hats, gloves, scarves, and blankets to help ensure no one will have to go without this winter. In fact, they were so generous they filled an entire moving truck with donations! In Chicago, two of our newest Shack Shine franchise partners teamed up to bring a little bit of holiday cheer to the Collins family. Their son Ryan, a fifth grade student residing in the Chicago suburbs, was diagnosed earlier this year with brain tumors, Anaplastic Medullobastoms, and has since been undergoing radiation. 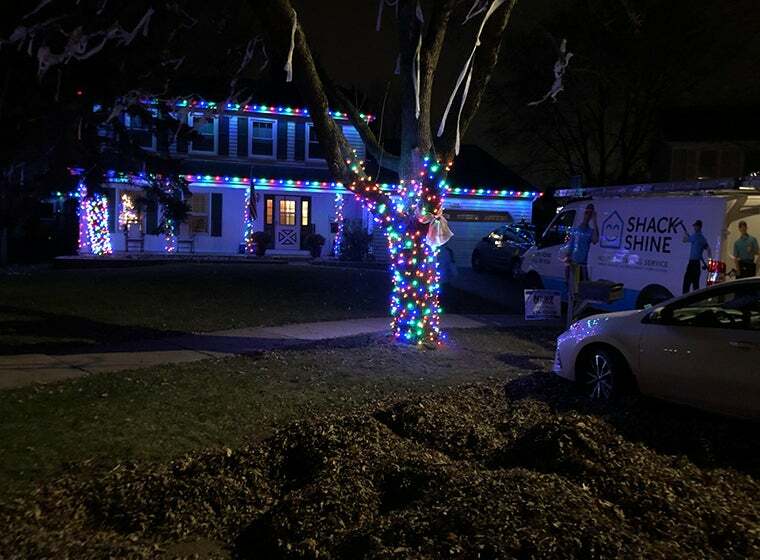 Billy & Matt, owners of two Chicago Shack Shine franchises, saw this as an opportunity to come together to shine a little light on Ryan and his family by installing Christmas lights on their family home, free of charge. It was a simple gesture that helped to make the holiday season a bit brighter for this amazing family. 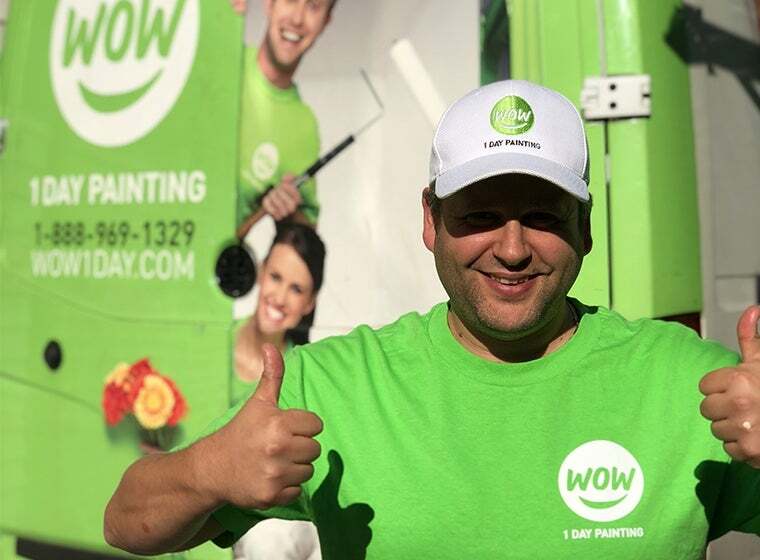 WOW 1 DAY PAINTING brings people a fast, affordable and high quality solution for all of their interior or exterior residential, commercial and industrial painting projects. We respect your time as much as you do and provide the quality paint job you expect, in a timeline that is unexpected.